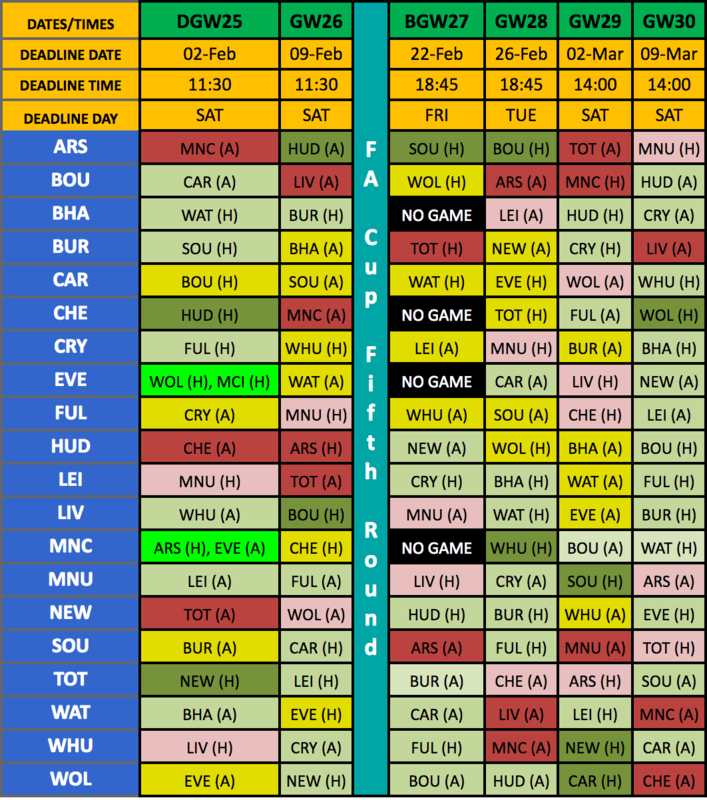 Welcome to Harry and Lloyd’s Predictions GW25. Its been a dramatic few days over here at Harry and Lloyd’s, but we can announce that on deadline day we pushed through a deal and are happy to announce that site regular and contributor DMC has agreed to join the H&L team for an undisclosed fee and has signed a 10-year deal. Sometimes strange things happen in life, Newcastle beating Man City would be one such example, another example would be someone actually putting their name forward to not only count up all the predictions each game-week, but to then put them in a shiny new ‘updated weekly’ league table. Well, both of those things happened this week. When DMC (who must be a glutton for punishment) put his name forward for what is if I’m honest a sometimes thankless task, we didn’t hesitate to snap his hand off. So whilst I celebrate our unexpected 3pts, our new recruit DMC will be doing the unenviable task of totting up the scores and popping them into the table you’ll find below. All is left is to say is: welcome onboard mate, and of course good luck trying to leave! 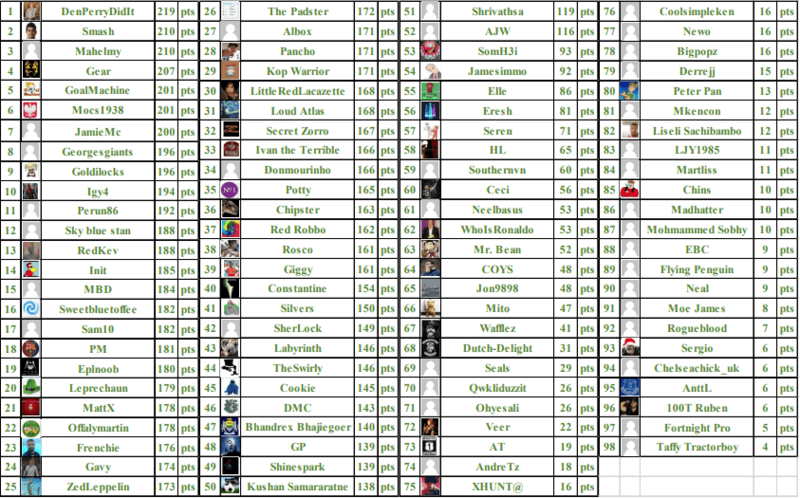 This weeks winner took top spot thanks to correctly predicting the first goal scorer, it was a tidy 14pts from Leprechaun, enough to see off second-placed Eplnoob on 12pts and the five who trailed in third (league leader DenPerryDidIt, Sam10, Donmourinho, Potty and Red Robbo) with 10pts. And so; Many Congratulations to Leprechaun. Please email us on contact@fantasyfootball247.co.uk to claim your prize. League Table – This correct as of this week, thanks to DMC and his willingness and wizardy! Spurs v Newcastle: Buzzing and relieved!